During this holiday season, we ate the most delicious cauliflower appetizer, “Cauliflower Tempura with Gochujang Sauce,” at a P.F. Chang’s Restaurant. I love cauliflower, prepared in any way, and this was simply one of the best preparations I have ever tasted. I decided to research the recipe and duplicate it at home. I am pleased. The result turned out great; it was similar but uniquely my own. Here is P.F. 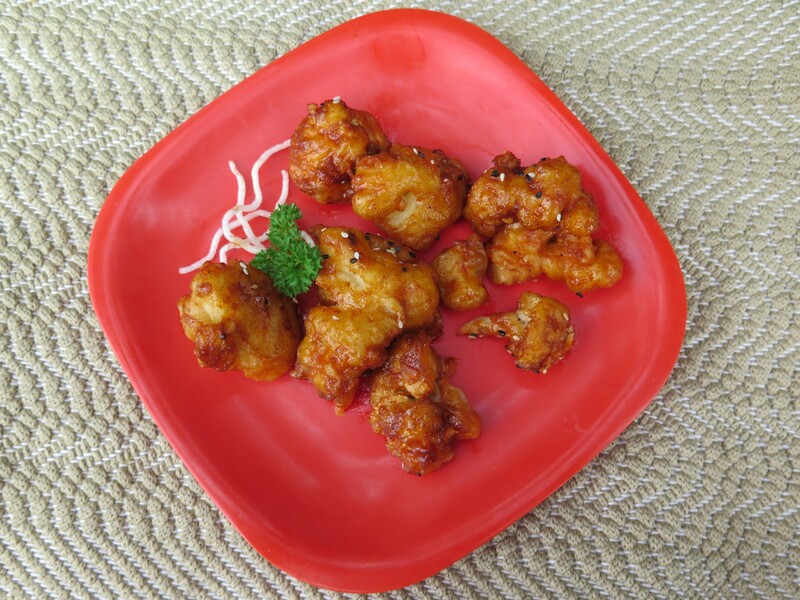 Chang’s Cauliflower Tempura.